Did you know you can make mashed potatoes in a slow cooker without ever removing the potatoes from the pot? 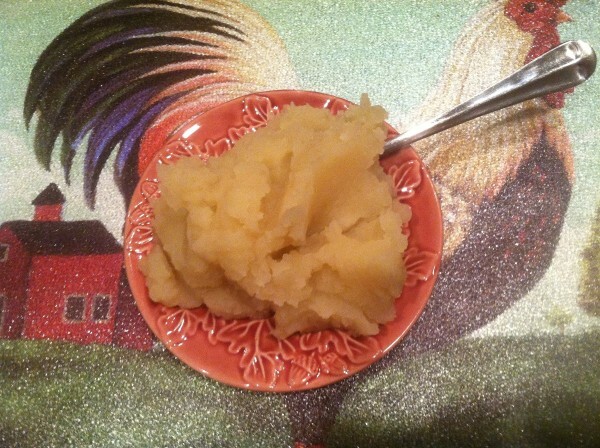 Learn how to make easy crockpot mashed potatoes in this guide. I love using my crockpot. It's so easy, also cuts down on all the dishes at dinner time. These start as cubed potatoes and end up as savory, creamy mashed potatoes without ever leaving your crock! * I used chicken bouillon as one of the seasonings and it gives these a nice rich flavor. 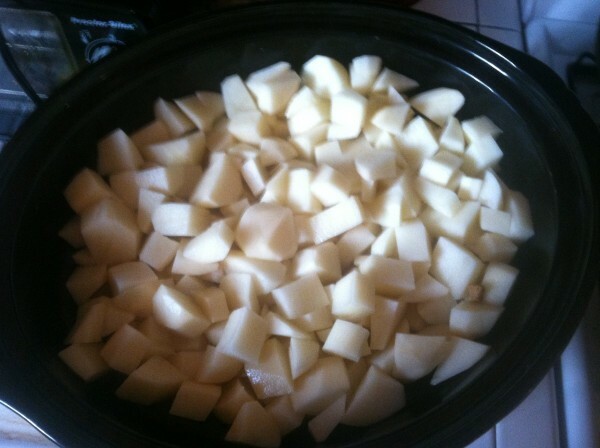 Peel, rinse and cube about 7 1/2 pounds russet potatoes. I used about 18. Put your potatoes in a greased crockpot. Dissolve 6 chicken bullion cubes in 3 cups of water, add to crockpot. Cook on high for about 3 hours, add 1 stick of butter. Continue to cook for another 30 minutes. Add 2 teaspoons of garlic powder and 1 teaspoon of salt. Mash well with a potato masher. 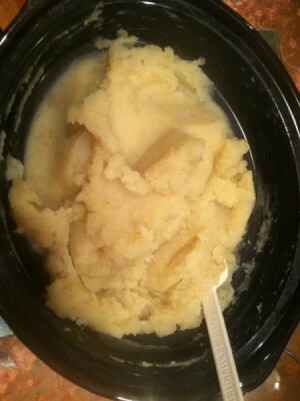 I made mashed potatoes in my crockpot for Thanksgiving. I didn't cube them, just peeled the potatoes and added a stick of butter, some roasted garlic and about a cup of vegetable broth. I would have used chicken broth but my oldest son is a vegetarian. I started the potatoes first thing in the morning, before I got the turkey in the oven, and cooked them on high until the turkey was done and resting. I mashed them right in the crockpot, adding salt and some heavy whipping cream. They were perfect. I had enough left over to make a potato soup after everyone was tired of Thanksgiving food. Not much of a cook... but even I could do that! Already made the Crock Pot Candy and will do the two pot roasts (from Schwan's already has gravy) with carrots, green beans and celery in the 2 crocks too. The potatoes I use are from the Schwans frozen food truck. Called "mashed potato nuggets" or something like that. No cutting, peeling or waste. I microwave them in a ceramic serving bowl. Season as you like. Slowing down in my old age, or is that just being lazy? Note** Left over mashed potatoes can can be used to make potato candy (leave out the garlic;-) or potato pancakes and freeze. You can also freeze left overs to use to make potato soup or thicken a vegetable soup. Really no need to throw them away.